Workers in the so-called ‘gig economy’ face heightening conditions of precarity and exploitation. From delivery couriers to taxi drivers, this series has shown that conditions of work are increasingly deleterious and show little sign of improvement. To combat this, innovative new strategies of organisation and mobilisation have been developed. New, and more direct, tactics of trade union struggle have been at the heart of successful disputes led by the Independent Workers Union of Great Britain in London and via spontaneous strikes by Uber drivers and others across the USA, the UK, France, and beyond. As yet, there has been less traction for these forms of the gig economy in Latin America. This may be about to change, as according to a recent Bloomberg report Uber HQ is responding to recent negative press attention by turning to the region as its new ‘Promised Land’. Three reasons may explain why the gig economy has had little success so far in the region. First, it relies on a business model that requires particular market conditions, namely a high volume of relatively high-income consumers living alongside significant surplus labour. Such conditions are not as widespread in Latin America as in Europe and North America. Second, there may be little need to push further precarity upon workforces across the region. The informal sector dominates in these areas and, after decades of structural adjustment and the return of a harsh neoliberalism to countries in the region, precarious work is the norm. 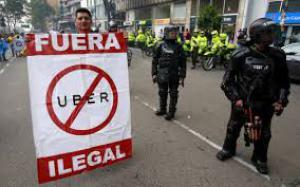 Third, where Uber and Lyft – the two dominant ride-sharing companies of the gig economy – have sought to establish themselves in major cities –inArgentina and Brazil, for example – a combination of worker protest and regulation has contained their ambition. Workers in the region have mobilised through a whole repertoire of innovative tactics to confront and, in some cases, overcome the negative impacts of the increased precarity that typifies work in the gig economy. We only need to think of the variety of horizontalist organisational forms and radical practices that emerged out of the 2001 crisis in Argentina, for example, which continue to echo in in the worker recuperated factories and even the recent women’s strike. In this article, I will reflect on some of the strategic lessons that can be drawn from Latin American workers in organising against conditions similar to those underpinning the growth of the gig economy across the global north. Specifically, I will consider what can be learnt from experiences of workplace occupation and workers’ control as a strategy for confronting the gig economy. The recent experience of workplace occupation and workers’ control in Latin America is wide-ranging. It encompasses hugely diverse political-institutional contexts and a vast range of economic sectors – from Socialist Production Unitscreated through the communes and supported by the state in Venezuela, to land seizures and communal farming organised under the banner of ‘Occupy, Resist, Produce’ by the Landless Workers’ Movement in Brazil. The most well-known of these, however, are the Worker Recuperated Enterprises in Argentina. Emerging en masse after 2001, according to a recent report by the Open Faculty in Buenos Aires, there are now 376 worker-controlled workplaces that employ 15,948 workers. As has been documented by Marcelo Vieta, these worker-controlled workplaces – which range from industrial factories and hotels to park services and medical centres – have faced a range of challenges, but have overcome them through a variety of innovations. These include gaining access to funds as collectives, through neighbourhood solidarities, and through the construction of new ‘economies of solidarity’; establishing horizontal working structures via workplace assemblies and job rotation; enforcing equitable pay across sites; open communication through assemblies, with clear detailing of tasks, work-goals, and accounts; and offering space and services – from housing to healthcare – for surrounding communities. Importantly, these occupations and the subsequent transformations of the workplace and of social relations between workers derived, initially at least, from the independent self-activity of precarious workers operating in increasingly poor conditions. These workers then came together to resolve directly the problems they encountered at work and in everyday life. It is this foundational basis of autonomous collective action that is vital for thinking on the significance of workers’ control as a means to confront and overcome conditions of workplace precarity and insecurity. But how can we translate these experiences in Latin America to workers organising in the gig economy under very different conditions and in very different contexts? For a start, many of these examples of workers’ control relate to more traditional workplaces, with fixed sites – factories, land occupations, hotels, medical centres, etc. – that can be brought under control by entering, occupying, and limiting access to that space. 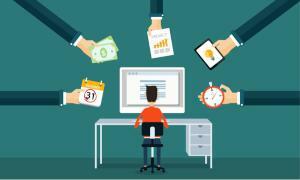 The gig economy, by its very nature, is flexible and mobile – in most instances it is represented by a virtual platform with ‘self-employed’ workers operating independently from each other, spread out across major cities and with no concrete ‘space’ to occupy. It is this option – of coming together through a shared, precarious experience of work and developing a collective, cooperative form of work organisation – that represents a clear possibility for contesting the vagaries of the gig economy. Workers’ control may seem a distant dream, but it may be that – as Marx envisaged – the contours of an alternative mode of organising work and life can be seen already within the innovations of capital. Cooperatives in the US, for example, have been successful in challenging the dominance of Uber. Taxi cooperatives formed in Austin and in Denver, have shown how drivers can compete with – and win against – the ride-sharing firms of the gig economy. Moreover, the precarious conditions of work experienced across the gig economy are clearly analogous to the experiences of precarious work in and across Latin America and so they can offer some important strategic lessons for organising. In a recent article, Maurizio Atzeni explores the possible new grounds for solidarity that have emerged amongst precarious workers in Buenos Aires, focusing on theatre technicians and – most interestingly for discussing the gig economy – motorbike couriers. Building on a concept developed in his earlier writings, he outlines the conditions for new modes of solidarity that emerge from the ‘living encounter’ that occurs in the workplace. Atzeni shows how, despite the fragmented, diffuse, and increasingly precarious modalities of work, it is in their shared experience of this labour process overwritten by the specific institutional and historical contexts of labour organisation in Argentina that the foundations of collective action can begin to emerge. It is from similarly increased precarity – from threats of unemployment and heightened insecurity in work – that the examples of workers’ control previously highlighted in Venezuela, Argentina, and Brazil developed. Seemingly spontaneous decisions to mobilise, occupy, and repurpose workplaces were enabled by comparable new solidarities emerging ‘from below’. In combination, these factors may point to new strategic directions for workers in the gig economy. Shared grievances and emerging solidarities amongst these precarious workers can find expression in the new tactics mobilised by trade unions, but it can also offer foundations for establishing collective forms of ownership modelled on experiences in Latin America. As capitalism changes – pushing heightened insecurity and deepening exploitation – so too do the foundations for collective actions and the terms on which workers can begin to fight back. Latin America provides a useful signpost for how to establish new ways of living and working, and to building workers’ control in face of the insecurity and precarity of the gig economy. This article first appeared on the UK Open Democracy site. It is re-published under a Creative Commons Attribution-NonCommercial 4.0 International licence.